Notes: Many men have been identified. We welcome additional contributions. 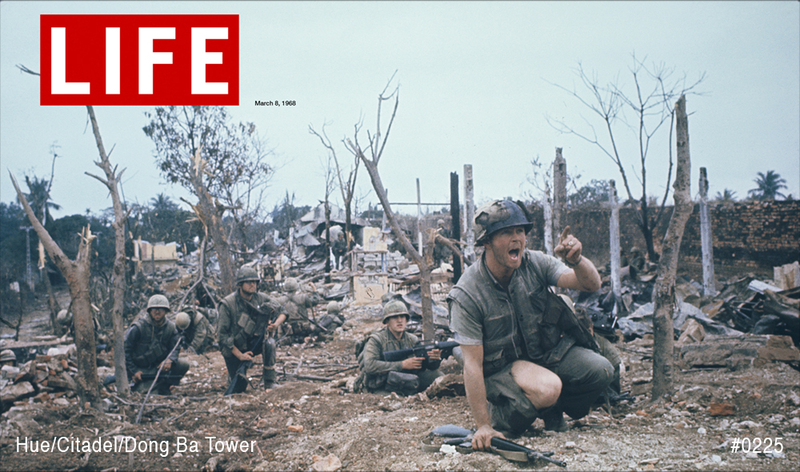 Notes: Final attack on Dong Ba Tower. First 12 men that attacked. Notes: Corpsman (L) and wounded unidentified. Marine on right identified as Richard Prince. Notes: Most men are unidentified. 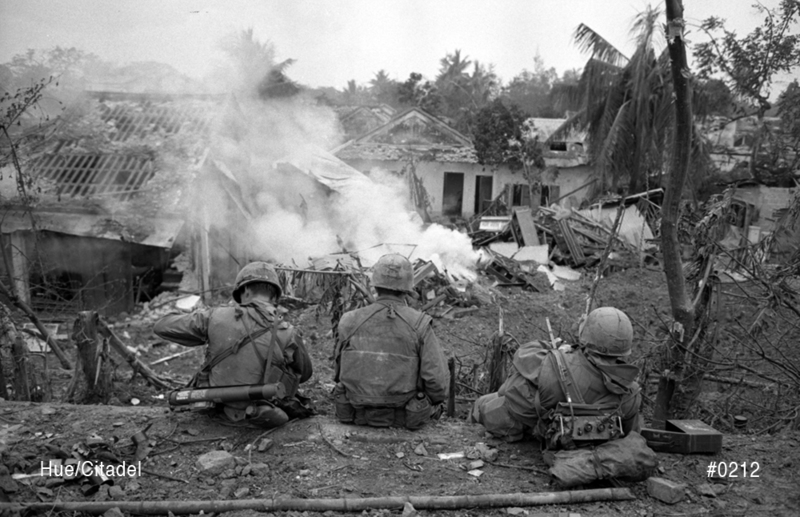 Notes: Unidentified, Courtyard Rocket Attack, radio operator KIA, Corpsman went for help. Fire team accompanied by Priest rescued us. Notes: Fire team accompanied by Priest rescue. Notes: Unidentified, KIA, Priest has been identified as Fr. Aloysius McGonigal, U.S. Army Major. Fr. McGonigal was KIA shortly after photo was made. Notes: Unidentified, sniper. Near Dong Ba Tower. Notes: Unidentified, aboard landing craft from MACV to Citadel. Rocket hit side of boat but didn't explode. Notes: Rocket killed a truck load of MP's. Location: Near Tan Son Nhut, Saigon, Opening day of Tet. Notes: Rocket killed a truck load of MP's opening day of Tet. Bodies recovered by unidentified APC crew & tank crew. Notes: Following attack on Dong Ba Tower. Notes: Following attack on Dong Ba Tower. Marines Left & Right unidentified. Marine in middle is Tom Zwetow. Buried alive for 8 hrs. 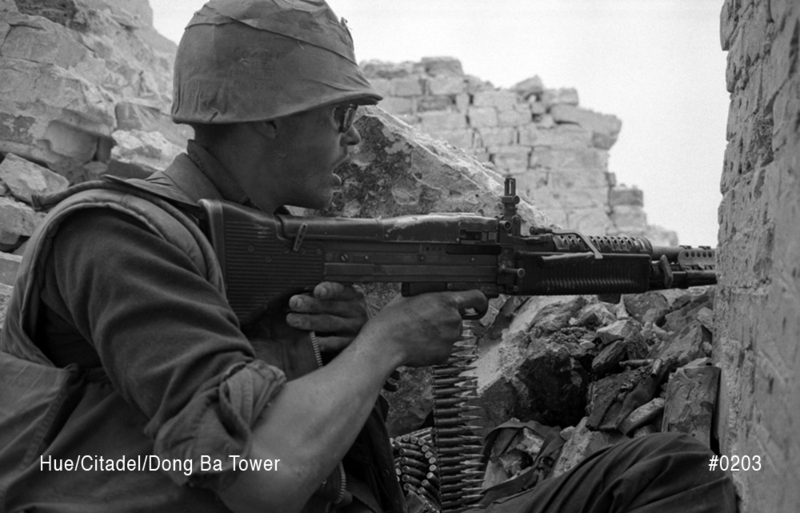 Notes: Nickname "Lurch" M60 machine gunner. Said to have spent the night of Feb 15 on top of the tower. Unit: Unknown, probably 1/5 Marines. 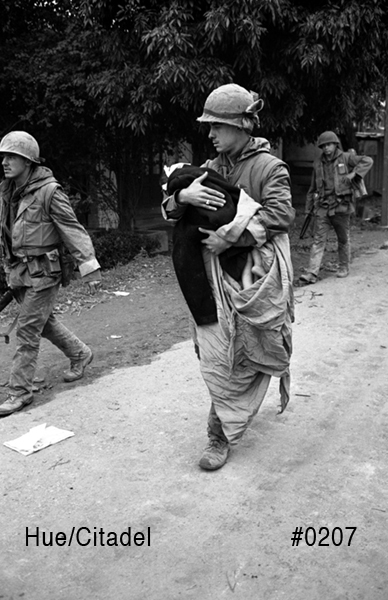 Location: Hue, Citadel, Feb 15, 16, 17, 1968. 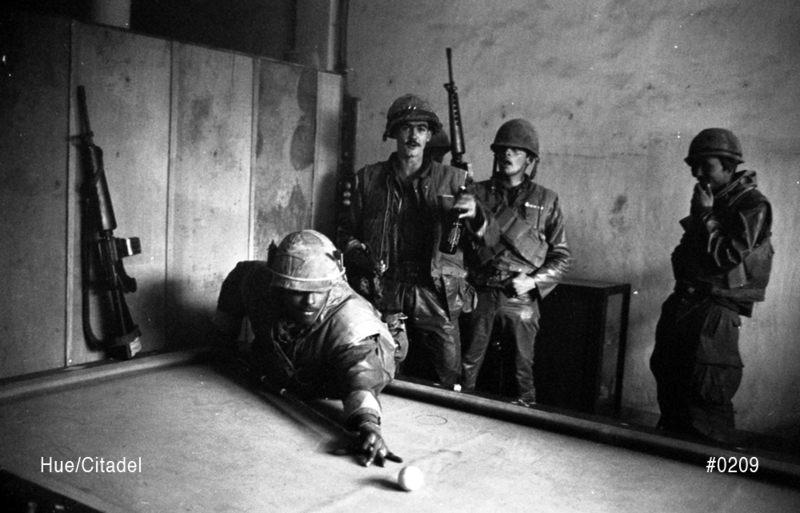 Notes: Unidentified Marines shoot pool. Notes: Probably prior to attack on Feb 16. 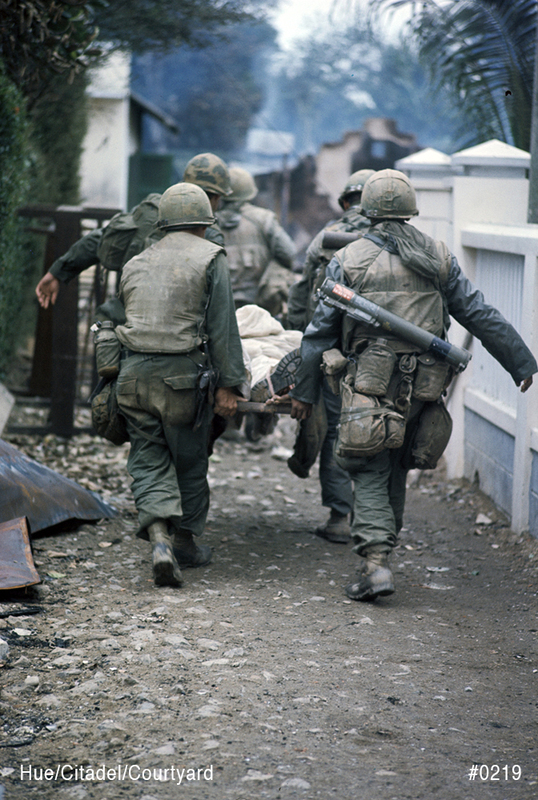 Location: Hue, Citadel, Feb 16, 1968. Notes: Wounded Marine said to be James Walsh. Bob Thoms above left. Others unidentified.